If you’re planning to revamp your outdoor living space, there are a lot of difficult decisions to make. TimberTech customers have dozens of different products, finishes and colours to choose from, and we appreciate that our extensive range can sometimes be a little overwhelming! Fortunately, help is at hand. 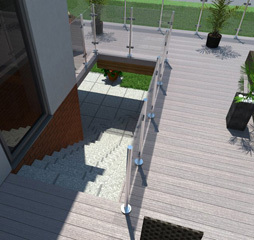 We now offer a free 3D deck design service, making it easy for you to visualise your new deck and see what our various decking products will look like in situ. By collaborating with our expert team of CAD designers, you’ll be able to try out different designs, products and colour schemes until you find the combination that’s perfect for your outdoor space. 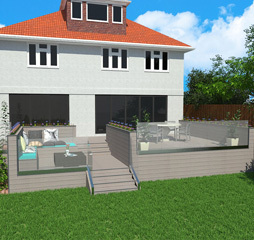 There’s no charge for our 3D deck design service – we just want to help you feel confident when you order your decking from us. We hope that, by giving you a visual guide to what your new deck will look like, we can reassure you that your decking dreams can be realised. Give us a call on 029 2080 3756. We can then supply you with samples and talk you through our product options and decking colours to see what suits you best.. Send us some rough measurements of the area you wish to revamp. Alternatively, upload a rough outline of your plans below. 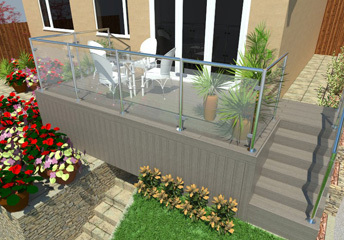 Next, you can liaise with our CAD designers to transform your ideas into a detailed 3D deck design. We’ll produce electronic drawings to show you exactly how your new deck will look. 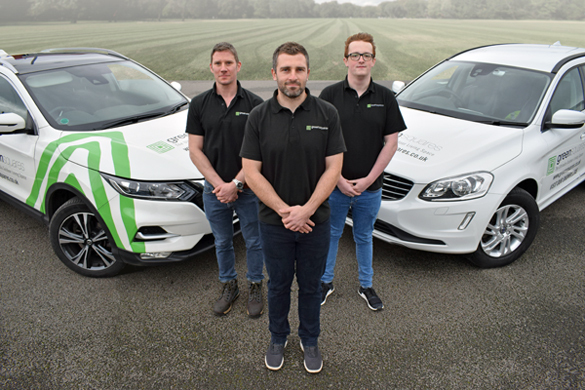 Once you’re happy with the design and ready to go ahead, we also offer an installation service making the whole process completely hassle-free. All you need to do now is get ready for some serious relaxation on your new deck!